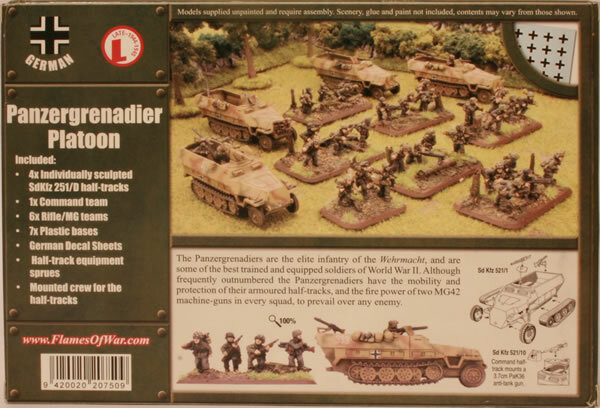 The Panzergrenadier regiments are the assault infantry of the German armoured divisions and the armoured (Gepanzert) Panzergrenadiers are the hard spearhead of any infantry assault. They are noted for their speed, mobility, and great firepower. 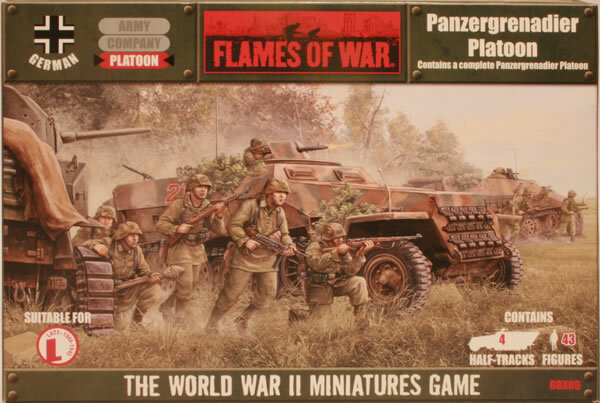 Because they’re part of a Panzer Division they cooperate closely with the tanks of the Panzer regiment. 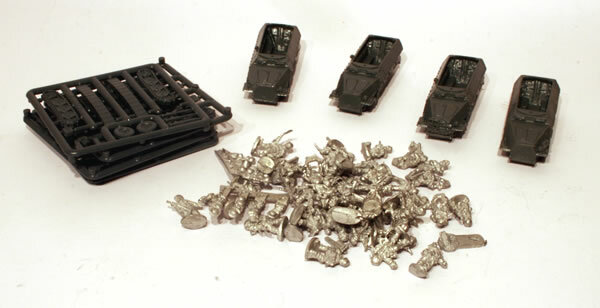 In the box you get a bunch of resin, plastic and metal.